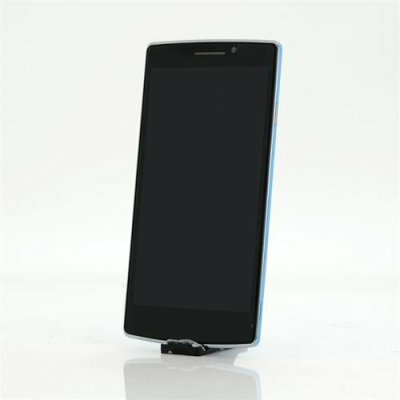 Successfully Added Mijue M580 Android Smartphone - 5.5 Inch IPS Screen, Quad Core CPU, 1GB RAM, Dual SIM, Android 4.4 OS (Blue) to your Shopping Cart. 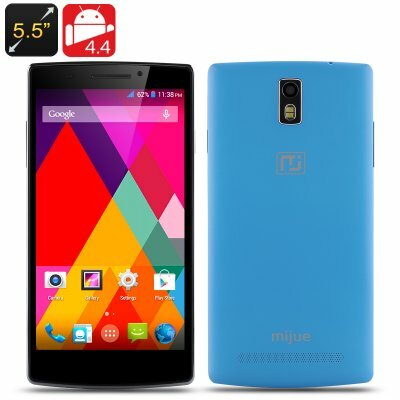 Mijue M580 Smartphone with 5.5 inch IPS screen Quad Core CPU and 1GB of RAM runs Android 4.4 OS and sports a stylish slim design. The Mijue M580 Smartphone has a 5.5 inch IPS capacitive touch screen with a 960x540 resolution and comes with an appealing price tag. Under the colorful outer that is only 7.6mm thick it features an MTK6582 Quad-core processor that runs at an efficient 1.3GHz so with the 1GB of RAM it’s able to perform smartly for all your apps and games. AS for storage you get 8GB of onboard memory and the micro SD card slot let you add up to 64GB of extra room. Operating on the Android 4.4 platform you get access to some great features including immersive display and OK Google so you can take advantage of the voice commands. The pre-installed Google play store is your access to a plethora of applications for just about any conceivable task as well as countless games to keep you entertained. With dual SIM card slots for a micro and standard SIM you can manage bother business and personal contacts with ease and both slots support WCDMA and GSM bandwidths for comprehensive network coverage. The Mijue M580 is equipped with a 2 megapixel front camera and an 8 megapixel rear camera for taking photos and video calling and can record footage at 1080p. It has Miracast, wireless and Bluetooth connectivity for data transmission between different devices. The 2450mAh removable battery provides sufficient power to keep you going.